This fascinating picture book biography tells the childhood story of Buffalo Bird Woman, a Hidatsa Indian born around 1839. Through her true story, readers will learn what it was like to be part of this Native American community that lived along the Missouri River in the Dakotas, a society that depended more on agriculture for food and survival than on hunting. Children will relate to Buffalo Bird Girl's routine of chores and playing with friends, and they will also be captivated by her lifestyle and the dangers that came with it. 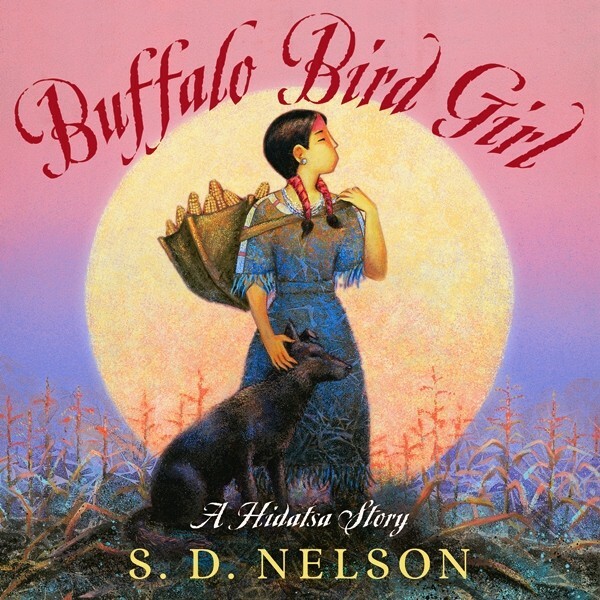 Using as a resource the works of Gilbert L. Wilson, who met Buffalo Bird Woman and transcribed her life's story in the early 20th century, award-winning author-illustrator S. D. Nelson has captured the spirit of Buffalo Bird Girl and her lost way of life. The book includes a historical timeline.